Welcome to Optical Polymer Research, Inc.
OPRI, while recognized during its initial domestic tenure as a smaller organization within the US contact lens marketplace, internationally it was widely known for its quality products and was well received by the industry. It was only natural for an experienced entrepreneurial team having collectively participated in the development and commercialization of many significant polymer and processing technologies used today to come together to advance these accomplishments while creating improved technologies to replace them. These efforts include the discovery of a unique monomer utilized within the novel OPERMTM F60 chemistry with which to expand and extend the OPERMTM F60 platform. “A unique more compact molecule than found in most currently used contact lens polymers. This compact molecule makes for a less bulky molecule replacing a hydroxyl group in the presence of water making a more hydrophilic polymer”*. *William Peterson, PhD., Temple University holds more than 60 patents and 100 peer reviewed publications. Our Vision is to become the leading company providing ophthalmic polymers. 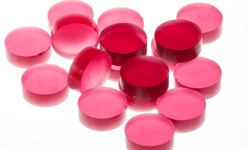 Our Mission is to develop and deliver high-quality and innovative contact lens polymers to finishing laboratories, eye care providers and their patients. NEW! OPERM HDKTM along with OPERMTM F60, OPERMTM F40, OPERMTM 30, OPERMTM 15, OPERMTM PMMA, AQUA->PERMTM, AQUA->PERM SiOHTM for visual correction. Prior to and during the rejuvenation of OPRI, the entrepreneurial team individually or collectively were instrumental in the development and market introduction of over 20 contact lenses and optical polymer brands into the global eye care marketplace while associated with over a half-dozen polymer manufacturers. Read More about the OPRI Management Team, several of these were the initial product category entry with others following their lead as product extensions creating new modalities. Before joining OPRI, some members of the OPRI team worked in the development and significant upgrading of numerous complex manufacturing processes for a number of companies. Those developments were achieved in part as collaborations with experts and organizations within and outside the ophthalmic community. Noteworthy partners included: Post Graduate Chemistry Programs at the University of Florida, Arizona State University, University of Arizona, Temple University, University of Adelaide, Australia. 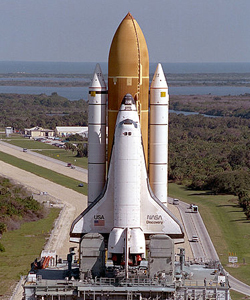 Prior to the rejuvenation of OPRI, the entrepreneurial team was involved in work done by NASA in missions aboard both the Endeavor and Discovery spacecraft as part of the prestigious NASA, “FOR THE BETTERMENT OF MANKIND” Space Shuttle Program and MIR International Space Station Program. Among these notable advancements are included the successful encapsulation of differing polymers allowing dual optical properties, surface wetting technologies, ocular lens designs, rotationally symmetric, asymmetric, freeform, sculpted geometry, reverse geometry, Ortho-k, orthokeratology, corneal refractive therapy, unique monomer discoveries, improved lens blank preparation, lens laser marking identification, plasm cleaning systems and numerous other quality process improvements. Given this extensive background of achievement it is the goal of the new OPRI to advance itself through bringing new and improved optical polymers and processes to the global optical industry. It is not OPRI’s intention or objective to manufacture finished lenses in competition with its customers but rather to advance our customers' capabilities by delivering world-class polymers.